Since the beginning Africa has been a huge target for the adidas grassroots projects.Three players that are currently playing the NBA have grown up using our program todevelop and get exposure for the highest level of competition.Milwaukee Buck’s Luc Richard Mbah a Moute from Cameroon andWashington Wizards Hamady N’diaye from Senegal are good examples of adidasvalues and work ethic. But none of them symbolizes more the adidas Nations projectthan Okhlahoma Thunder’s Serge Ibaka from RD Congo. Serge ibaka opened everybody’seyes on the African huge talent, and its natural ‘giving back’ approach with younger kids.He was discovered at the camp and was picked in the first round of the NBA draft the following year. Emmanuel Mavomo, Developer of African Basketball Community — announced the roster for the annual adidas Nations Africa, the premier international grassroots basketball program. 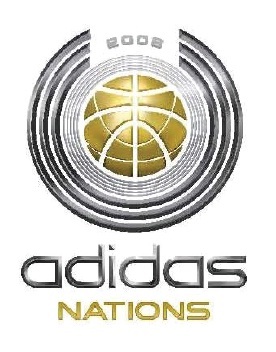 adidas Nations will take place at the University of Johannesburg, soweto campus June 15-18, with a High profile Exhibition game opposing African pro International to the South african National team, June 18 at 4:30 p.m. @ the Arena of the University of Johannesburg, soweto campus. The elite 18-and-under players from six African teams including DR Congo, Cameroun, Angola, Mozambique, Rwanda and South Africa, will train and compete in the prestigious annual program. Current NBA players, highly esteemed NBA veterans and collegiate players join the global program as head coaches, mentors and camp counselors. NBA players Serge Ibaka (Oklahoma Thunders), Luc Richard Mbah Hamoute (Milwaukee Bucks), Hamady N’diaye (Washington Wizzards), along with Europeans pros such as Yohann Sangare, Karim Ouatara, to name a few will counsel and mentor players throughout the weekend. Former players and head coaches will act as head coaches. A pre-selection campaign launched throughout the participating countries has began on april 16th in Yaounde , and schedule April 23rd in Luanda, May 7th in Kigali and May 8th in Maputo. adidas Nations emphasizes adidas’ core belief that success in the game of basketball comes from playing as a team. The multi-faceted international curriculum includes expert training and strategy tips, comprehensive workout sessions and scrimmages. Off-court elements essential to all athletes’ success, such as nutritional education, global interactions, leadership and philanthropy, are woven into the program’s agenda. Athletes’ Performance, the leader in sports training, directs and engages the participating players through advanced programs to supplement their on-court training and provide them training tools for their future basketball careers at the collegiate and professional level. General admission tickets are available for R40 at www.computickets.co.za or by calling 0027827610641. HELLO My name is MUTALE GERARD KONSOLO from Zambia and i would love to be part of the camp.I love playing basketball and play for a team named NAPSA HURRICANES as a forward.So you can email me at gasoulm@yahoo.com or My contact number which is +260978218136.YOUR HELP WILL BE HIGHLY APPRECIATED. how abt uganda we have guys who are really talented but have no exposure so if u can put us on the list of the we would appreciate this is ODUR EDWIN you can call me on my number +256702575954.